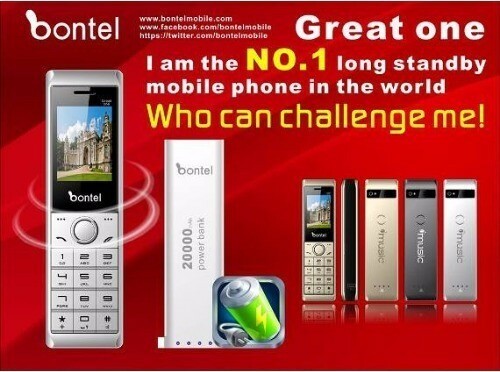 BONTEL GREAT ONE is the NO.1 long standby time phone in the world! It has 90 DAYS LONG STANDBY TIME! With 20,000mah battery & complete power bank, Strong torch and Big loudspeaker. The strongest when it comes to quality and very reliable. Big battery and Big speaker, 20000MAH for powerbank, Multiple charge. Audible speaker, picture quality standard, Toughened glass. 90Days long standbyTime, Side key open Flash. Strong Torch. Bontel is a new mobile phone brand in Africa but doing trying its best to stand out by making the first phone with 20,000mAh battery capacity. The phone is not a smartphone but a feature phone that will be useful to you if you are interested in long-lasting mobile phones. With this monster battery, you can go up to one month without charging the phone while answering calls and up to three months without charging it on standby mode. 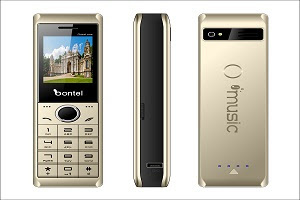 If you are in Nigeria, you can browse and order Bontel phones on Jumia and Konga. However if you want to buy Bontel Great One with 20,000mAh Click Here. The price of this phone is N11,000. NOTICE: Pls confirm you buy from authorized official online shop. Or else if you get fake phone, we can not do service. Other countries online stores are coming soon. BUSINESS OPPORTUNITYIf you are a mobile phone dealer or you are interested in selling Bontel phones, the good news is you can be one of its distributors today. You can contact Bontel service via whatsapp: +8618665951325. We are looking for distributors for different countries. Welcome to join bontel.